DUST from the 'corner country' of north western NSW and South Australia was whipped up by gale-force westerly winds and dumped over the Coffs Coast yesterday. Sydney BoM meteorologist Rob Webb said parts of the corner country had registered only 11mm of rain this year and 100km/h winds had scooped up the dust and spread it along the whole East Coast. 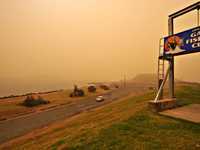 The Bureau of Meteorology said the dust was expected to gradually improve and start to dissipate today as the high pressure system over the centre of the continent moves across us. 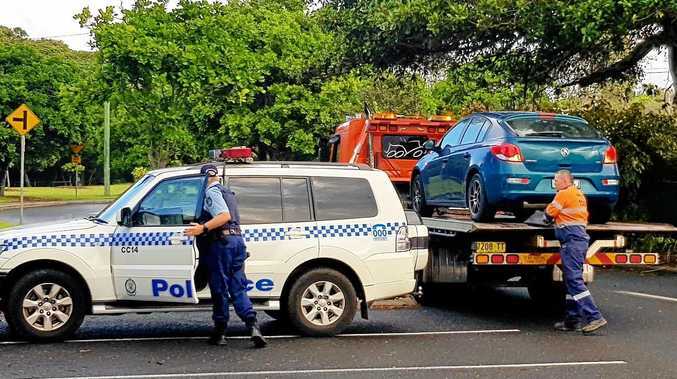 “We don't get these conditions very often,” said the duty observer with the Bureau of Meteorology's Coffs Harbour office, Roger Brown. By noon visibility was about 2000 metres. 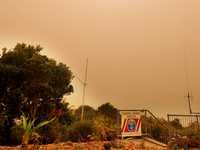 NSW Farmers' Association President Charles Armstrong said the dust storm affecting most of NSW was an indication of the severe nature of the drought plaguing farmers and rural communities west of the Great Divide. 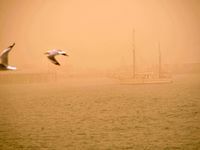 In Sydney, the winds generated one of the most spectacular dust storms in the history of the city. The eerie orange haze that blanketed the metropolis and reduced visibility resulted in transportation chaos. 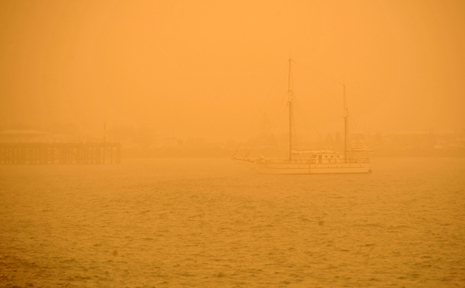 Historically, Melbourne experiences more severe dust-storms than Sydney, with a famous dust storm in 1983 that saw the city blanketed in over 1000 tonnes of top soil. Check out our up-to-date weather forecast. 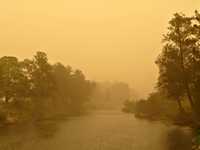 Do you think the dust storm was caused by climate change? This poll ended on 31 January 2010.